1938, Nazi Germany, and Hanukkah serve as a tension-filled start to the text. His parents put him on a giant ship to travel to America to live with Aunt Esther, and he knows he must arrive in time to light the menorah with her. It will be a long walk once he arrives in NewYork City, but he begins his walk. Indeed eight blessings gift him with the will and inner strength to find his way, and good people aid him in surprising ways. Find this book. 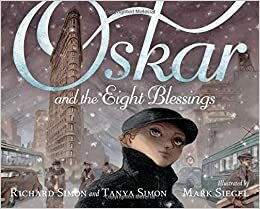 Similar in some ways as Kate DiCamillo's Great Joy, Oskar and the Eight Blessings took my breath away. The book starts before the title page, a tactic I love, and the storyline simply captured me. A beautiful book without question. Rakmen carries a heavy load of loss in his teenage life. His baby sister died recently, and the hole exploded into him by that loss seems unrecoverable. He is bombing his high-school courses, his parents are falling apart at the seams, and Rakmen is losing his way in life. A happenstance meeting helps him realize one of his teachers has experienced a similar loss, and that initial interaction serves as a critical turning point in the book. 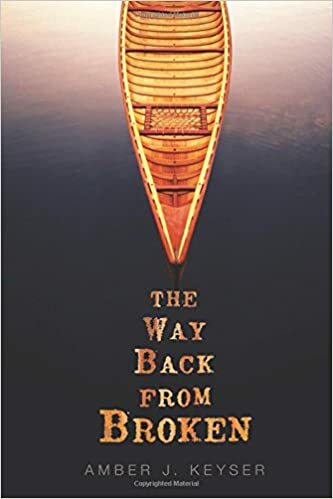 As is so often true with life, Rakmen gets some unpleasant-sounding opportunities for his summer; with little choice, he spends his summer kidsitting his teachers’ ten-year-old daughter on some remote Canadian lake with gross stuff growing in a very old cabin. He has no idea what a canoe is or how to use it, he knows nothing about mice and rats, and he knows even less about grief and how to walk with it. By the end of the book, he has grown lifetimes and heart sizes. I will pick up almost any book with wilderness as a setting in it, and this was no different. I loved the setting, I loved the plot, and I really enjoyed disappearing into this book each night. I didn’t want it to end. Gold star to author Amber J Keyser for a sweet heart-breaking story. Loren Long, fabulous author of beloved Otis the Tractor books among others. His writing is almost lyrical, simple yet bold, attention- getting and mind-wrestling. Little tree does exactly that. 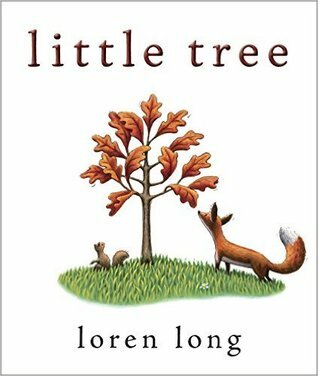 Little tree starts his life just like other trees nearby, growing and enjoying sharing its branches with squirrels and birds. But when it comes time to lose its leaves in autumn, the tree clings tighter, afraid to let go. Through several seasons, it hangs onto those precious objects, noticing the difference between its branches and those of other young trees. But fear keeps winning, causing it to hug the branches and leaves tightly. Until one day, one fall, when it decides to let go. 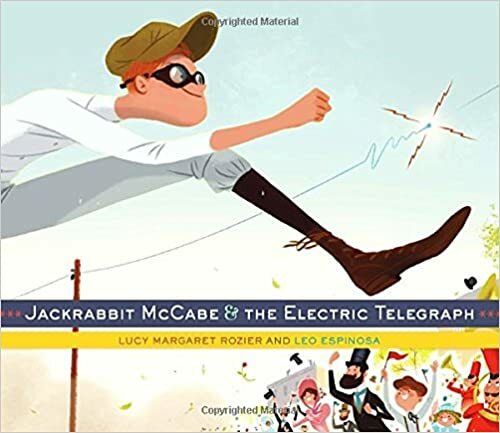 I can imagine this book as a terrific read aloud, filled with loads of conversational possibilities, in the classroom and at home. Lovely text and beautiful illustrations offer us a chance to explore again the concept of truly becoming who we are. My students were glued to this one. Even though it took place more than one hundred years ago. A fictionalized text based on history, this is a fabulous read for folks who want to know more about the Morse code, about historical transmission of messages, of the trials between man and machine. Being a picture book, the illustrations bring this book to life in ways words can't quite do. The double-page spreads make all the difference at times, the main character obviously has some long legs, and the outcome is a happy one. Seek this out if you feel drawn to the images. The words will only buoy you as well. What a sweet surprise this book was! I know how folks raved about The Invention of Hugo Cabret and some of his other texts, but I never got around to reading them. If The Marvels is anything like his other books, I will indeed search his work out. The first half of The Marvels is all sketchings, the second half mostly text. Amazingly, brilliantly the author must have intended for my brain to connect pictures to words and words to pictures over and again because that is what it did. The basic storyline surprised me, and the ending blew me out of the water. I like graphic novels, but I have never read one like this, this combination of written and drawn messages. At least not like this. Are you searching for an unpredictable book? Are you hoping to find a blending of young-coming-of-age and life-can-be-really-important-and-amazing-and-worth-the-struggle novel? Are you seeking a text that will create a story in your mind and your mouth at the same time, all launching you into knowing in your very being? 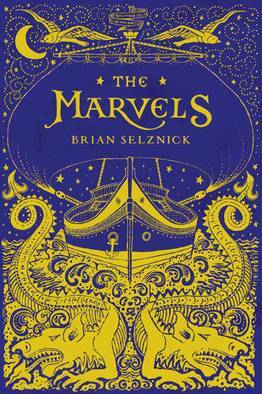 Read The Marvels.